Absolute Rarität, da nur noch selten verfügbar!!! 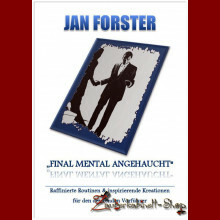 Beinhaltet die deutsche Version von "Final Curtain" und noch viel mehr. 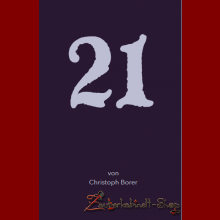 The German edition contained 24 routines. It was 267 pages long and in a smaller format. 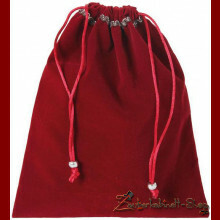 Borodin and I decided that we wanted to preserve the format of Sheherazade in the English edition of the book, and he wanted the book to be a comparably sized volume, as well. So he wrote twelve more routines. And these routines are among Borodin's best work -- EVER! 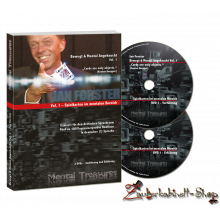 The book is 350 pages long -- and it is chock full of great stories, excellent mentalism and lots of fine ideas on the subjects of magic, mentalism, story telling and how to make all of them work for you. 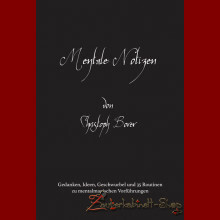 If you have read or are familiar with Borodin’s earlier works, Sheherazade and The Cézanne Code you will know the quality of his work. His good friend Bill Palmer has translated all of his books into English much to our joy. His friend, Punx often got together to discus how magic should be presented with the use of stories. Punx and I corresponded with letters until his eye sight became so bad, then we used audio tapes to get together. It was in many of those tapes that I learned about Borodin. When Punx and his wife visited the us and stayed with my wife and I learned even more about Borodin. As it is about story telling magic I think that everyone in the Shadow Digest should get his new book. He not only gives us the stories, but the methods for the effects in the stories. 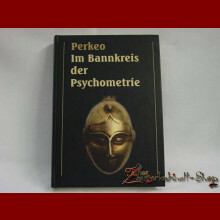 The book is a gem and if it was sold for $500.00 it would still be worth it. Thank you, Brother Shadow, for the nice review. We will keep the price at $49.95, anyway! A short review of the new book, Final Curtain will most certainly not be the last review, I'm sure. Everyone that reads this new publication is going to want to make comments on not only the fine material, but the wonderful craftsmanship and editorializing of Brother Bill Palmer. Having read the other Borodin book that Bill published, I pretty much knew what to expect as far as the presentations were concerned. There are not enough superlatives to really explore the depth of some of the work. It is a wonderful, informative read. I browsed through the book when it came in the mail and then spent a couple of more days reading every chapter and each story savoring each morsel. What really pleased me was to read Bill's editorial comments and admonitions. I can't recall reading this type of comments in other publications. It is a real gift to the reader that Bill has so graciously provided. There is one routine that has already been mentioned. One inspired by our own Brother Shadow, who has inspired so many of us on the digest. There are a couple of items that will not require a small fortune to build yourself, One of those is "The Fountain of Youth" and the other is "The Cards do Not Lie." 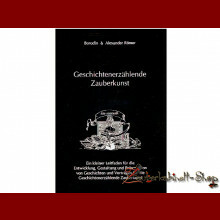 In addition to the translation from German edition, there have been several presentations added just for this publication. All in all it is a jewel that we can be proud to own.. Check the ads in The Linking ring and the MUM magazine for details about ordering and do yourself a favor by ordering one of these to go in your library. 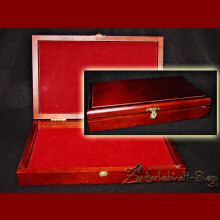 You will be amazed at the quality of both the contents and the workmanship. Thanks, Ed, for this wonderful review. 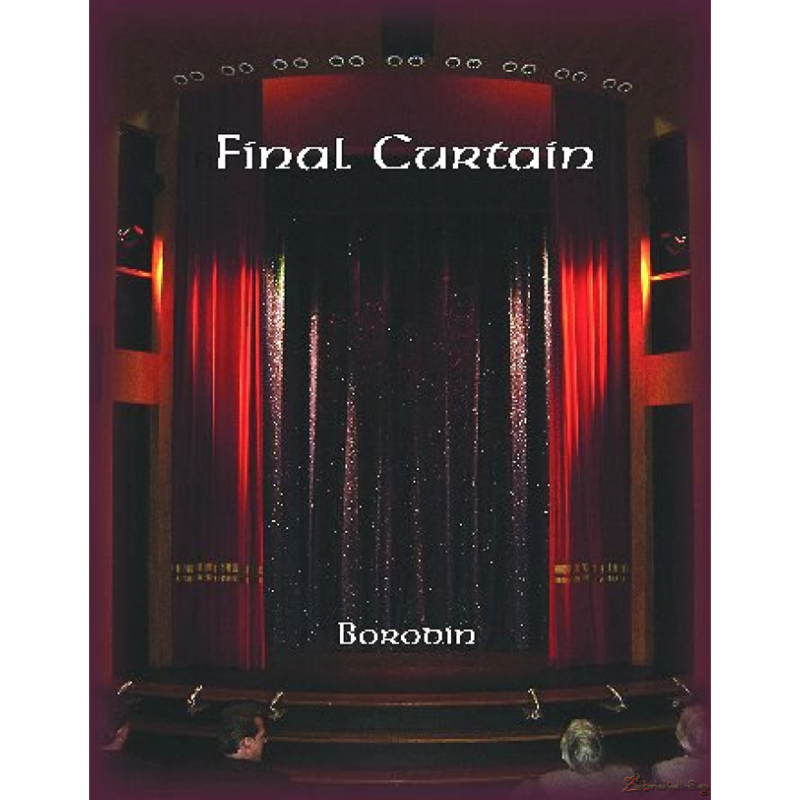 Final Curtain is a very inspiring book for all fans of storytelling magic, mental magic and midnight stories. It is in no way inferior to Borodin's first book Sheherazade and is a source for ideas and inspiration. The translations of the stories into English are masterfully sucessful, and the ambiance and subtleties of Borodin are wonderfully reproduced. This is predominantly due to Bill Palmer. He posesses a "magical" flair for this kind of translation. 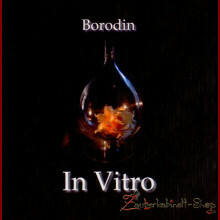 Those who know Borodin will virtually hear him speaking as they read the stories and tales. 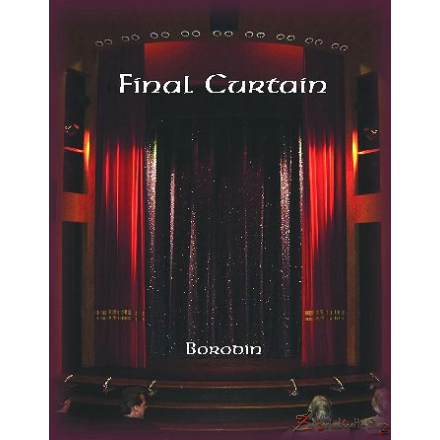 All of the material in Final Curtain is absolutely practical and everyone will find something in this book that will bring him farther along the way to enchanting the audience. From Christian Chelman, curator of the Surnateum and internationally famous bizarrist. I receive my book this morning and couldn't resist to read it from cover to cover. It's a delight! Congratulations to both of you for this exquisite work. Christian Chelman -- The Curator.